Stewart R. Barnett III, “Stew” was born in New Orleans in 1949. Stew graduated from De La Salle High School in 1967 where he was president of the student council and a member of the Cavalier football team. He attended Tulane University where he was a member of the Alpha Tau Omega fraternity and participated in Naval ROTC. Stew graduated from Tulane with a BA in Economics and received his commission as an Ensign in the Navy in 1971. He was a career Naval Flight Officer, obtaining his wings in 1972, and was an active member of the Navy’s P-3 community serving across the United States and Europe. Stew also enjoyed a second career as a leader and mentor for a generation of Intelligence Officers at the Defense Intelligence Agency. In 1975 Stew was deployed to Naval Air Station Sigonella, Sicily, where he met his wife the former Silvana Gemmellaro of Catania, Sicily. They were married in July of 1975 and had a son, Christian Stewart Barnett, the following year in San Diego, CA. In 1978, Stew was transferred to the Sixth Fleet which was homeported in Gaeta, Italy and served on the USS Albany and the USS Puget Sound. After a tour in Jacksonville, FL which included deployments to Iceland, Spain, and the Azores, a daughter, Julia, was born in 1983. The family returned to Sigonella in 1985 where he worked in the Anti-Submarine Warfare Operations Center and was the Deputy Commander of Task Group 67.1. During this tour, Stew participated in operations including record-setting Anti-Submarine Warfare operations throughout the Mediterranean as well as the search for the hijacked cruise ship Achille Lauro. In 1988 Stew became the Commanding Officer of Patrol Squadron 56 in Jacksonville, Florida, his third time with VP-56, and was later chosen to attend Naval War College in Newport, Rhode Island. In 1991, he completed a MA in National Security and Strategic Studies from the Naval War College as well as a MA in International Relations from Salve Regina University. This was followed by the first of many military and civilian tours in the Pentagon in Arlington, VA where Stew served as a Branch Chief in the Counter Narcotics Division of the Joint Staff’s Operations Directorate. In 1994 Stew and the family returned to Silvana’s home for what may have been the best family tour of Stew’s career. Stew took command of Naval Air Station Sigonella, Italy, directing over 3000 military and civilian personnel operating and maintaining airfield, port and communications for the Sixth Fleet and NATO. He also made lasting friends, and built bridges with the local Italian community which he was still very much a part of until the time of his death. In 1996 Stew returned to the Pentagon where he served as the Executive Assistant to the Assistant Secretary of the Navy for Manpower and Reserve Affairs. In 1999, Stew served in his last military assignment, likely his favorite assignment, as the Defense and Naval Attaché at the U.S. Embassy in London, U.K. Stew retired from active duty as a Captain in August of 2002 following 31 years of service. In 2003 Stew joined the Defense Intelligence Agency (DIA) and began his second career. He served in numerous positions with DIA including as Chief of the Operational Projects Division, directing the development of plans and policy for Defense Human Intelligence and as Staff Director in the Office of Attaché and Overt Operations. Stew was promoted to the Defense Intelligence Senior Level in December 2005 and served as the Senior Expert for the Defense Attaché System in DIA’s Directorate for Operations. Stew led the critical initiative to realign the entire Defense Attaché Service and establish the position of the Senior Defense Official (SDO/DATT) at the direction of Secretary of Defense Donald Rumsfeld. In June 2007, he was appointed to the Senior Executive Service and assigned as DIA’s Director of International Engagement. In this capacity, he led DIA’s oversight of numerous DOD intelligence relationships with foreign governments and international organizations, and directed the operations of Liaison Offices worldwide. In October of 2012, he was appointed Director of the National Media Exploitation Center, the Nation’s premier center for processing, exploitation, and dissemination of captured documents and media. 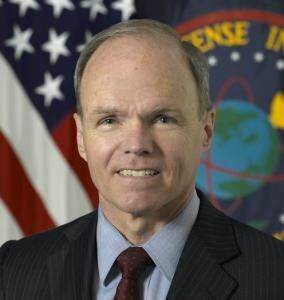 In 2016, Stew was appointed as the Deputy Director for Partner Engagement and Defense Analysis in the Office of the Under Secretary of Defense for Intelligence where he provided policy direction and oversight of Partner Engagement, foreign disclosure, and Defense intelligence analysis across the Defense Intelligence Enterprise. Stew was a loving husband, great father, dedicated professional, and faithful colleague. He was shining example of courage, positive thinking, and leadership. His unflagging optimism, resilience, and fighting spirit set him apart from his peers. Stew was a superb representative of the United States Navy, DIA, OUSD(I), and the Intelligence Community. He taught his children to ride bicycles, throw a baseball, and how to be responsible adults. He had a fantastic smile and a wonderful sense of humor. Stew was a natural teacher and outstanding mentor; his love and knowledge of history was immense and conversations with him were always educational and enlightening. He traveled to over 100 countries throughout his years and was the best travel guide anyone could have ever asked for. He spoke fluent Italian and through his wife and many tours in Italy, made lifelong friends among the Italian people. Stew was a longtime member of the Southern Yacht Club and the Krewe of Okeanos; his heart was always in New Orleans and he longed to return in his retirement to rediscover his love of sailing and the vibrant city. Stew was a recipient of DIA’s Meritorious Civilian Service Award as well as the Military’s Defense Superior Service Medal and two awards of the Legion of Merit. Visitation will be at 9:00 a.m. on Monday, July 31 2017 at St. Francis Xavier Church, 444 Metairie Road, followed by a funeral mass at 11:00 a.m. Burial will be at Metairie Cemetery. In lieu of flowers, donations may be made to the Leukemia and Lymphoma Society (www.lls.org). There will also be a memorial service held in his honor in Alexandria, VA in August. Funeral Home Lake Lawn Met Funeral Home 5100 PONTCHARTRAIN BLVD New Orleans, LA 70124 (504) 486-6331. Published online on July 26, 2017 courtesy of Dignity Memorial.